Dark charcoal gray in our bestselling slouchy hat beany design. 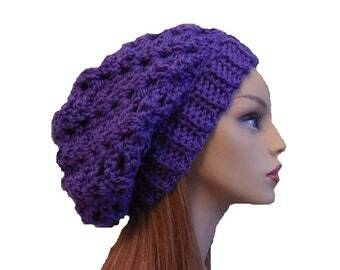 What's great about this slouchy is you can wear it in any weather: Spring, Summer, Fall or Winter and be comfortable. 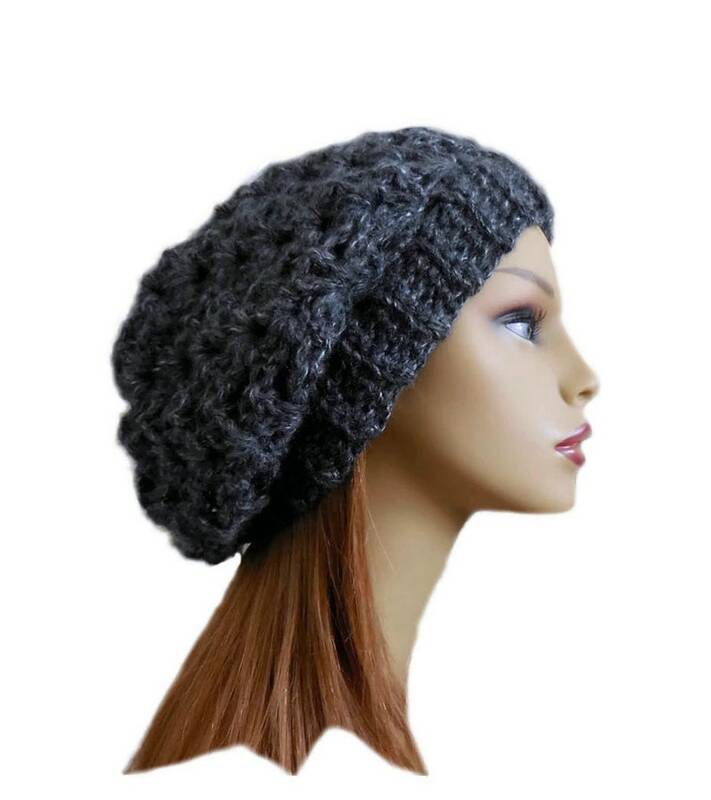 It is handmade crochet with very soft wispy, slightly bulky yarn that is 100% brushed acrylic (vegan), in a lovely charcoal gray color that will look wonderful with all your outfits. So warm and stylish! I love the color too. Just what I wanted! The hat is beautifully made and just the right weight. It's warm, but with the (purposeful) holes of the crochet pattern, it allows me to wear my hat indoors without getting too hot. Love, love, love my gray slouchy hat! Perfect fit and color!